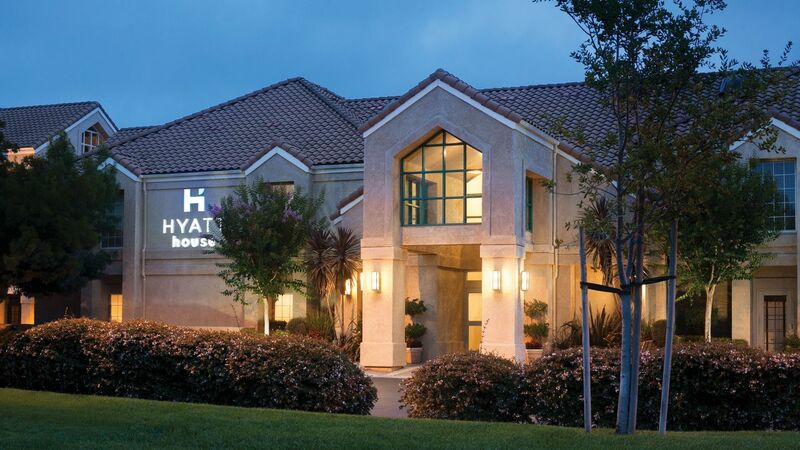 Located in the Hacienda Business Park, Hyatt House is a residential-style hotel ideal for extended stay travelers to the San Francisco area. 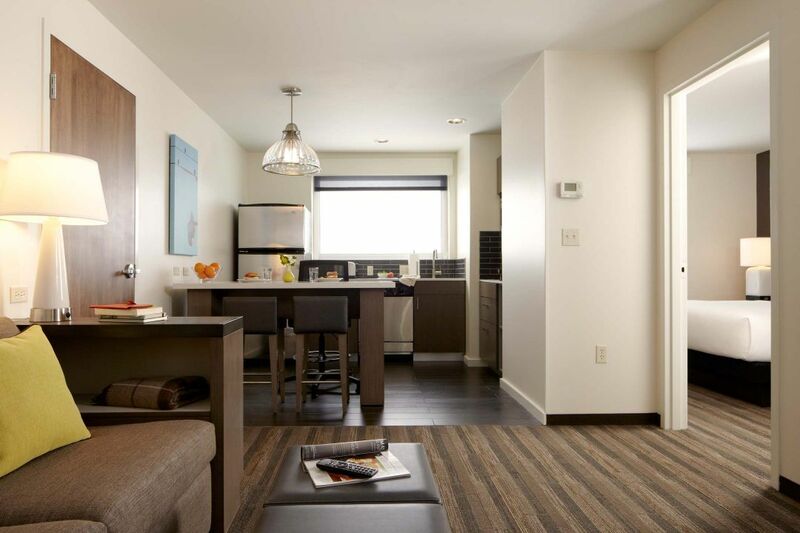 Our hotel features spacious one-and two-bedroom suites designed to create contemporary experiences with separate living and kitchen areas, and modern work spaces. 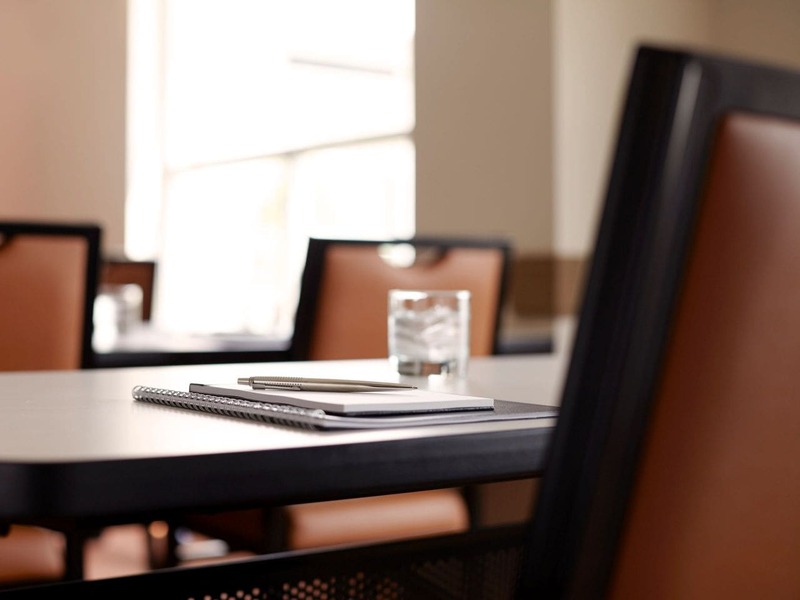 Engaging social spaces to meet with friends or colleagues, meeting rooms, and a prime location all cater to today’s traveler. 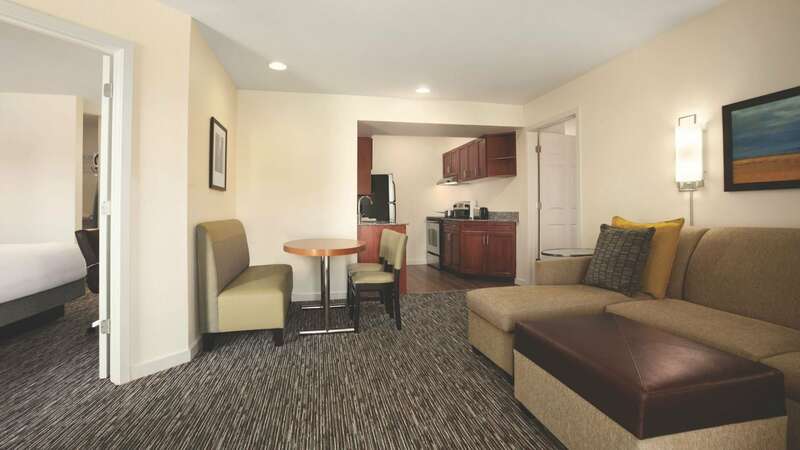 Relax in apartment-style suites with a separate living area, kitchen, 32” flat-screen TV, cordless phone, and stylish space to relax, work, and dine. 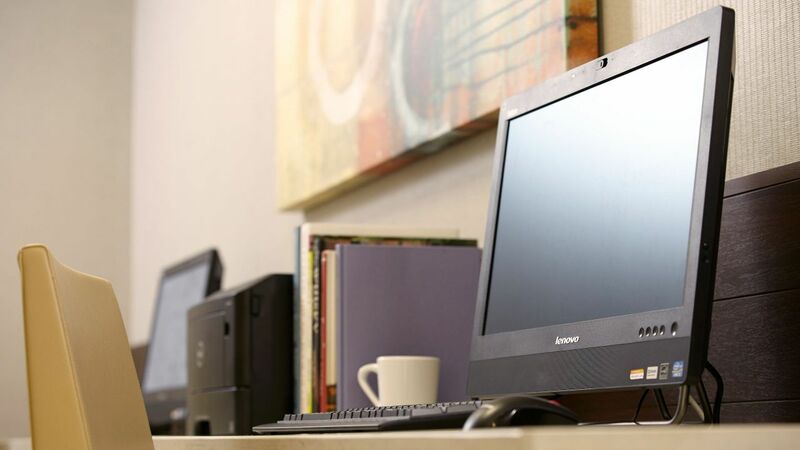 Get energized and enhance your fitness lifestyle on your visit to Pleasanton, CA. 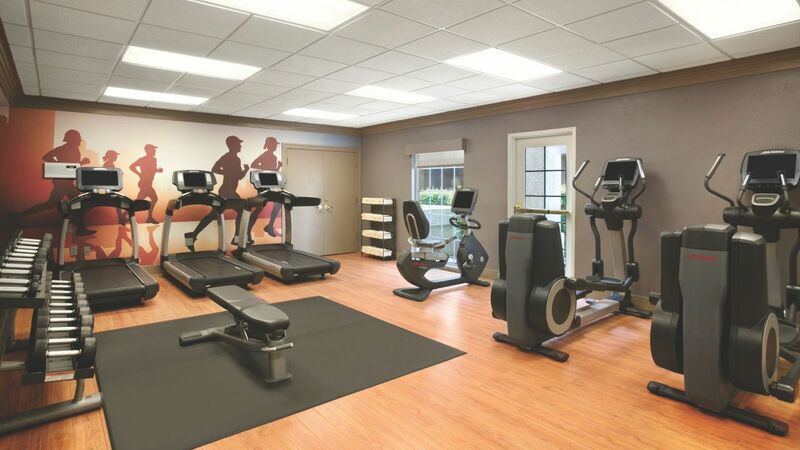 Our 24-hour Fitness Center features state-of-the-art Life Fitness® cardio equipment, free weights, and yoga and stretching mats for a body and spirit workout right at the hotel. 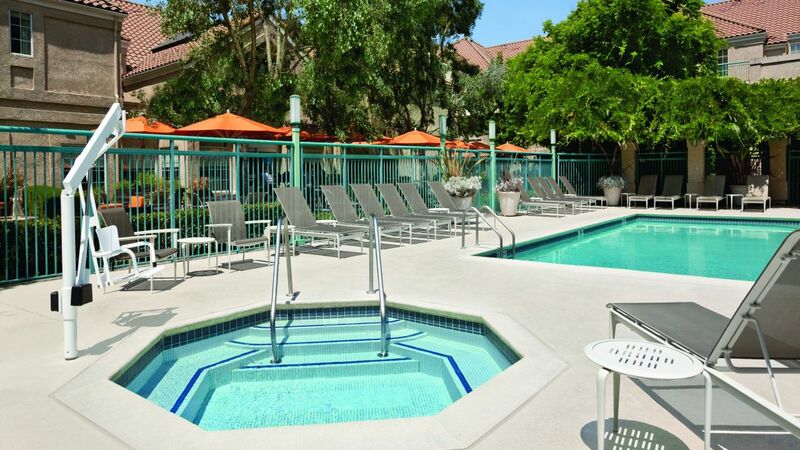 Take a refreshing swim in the outdoor pool or melt your stress away in the hot tub. 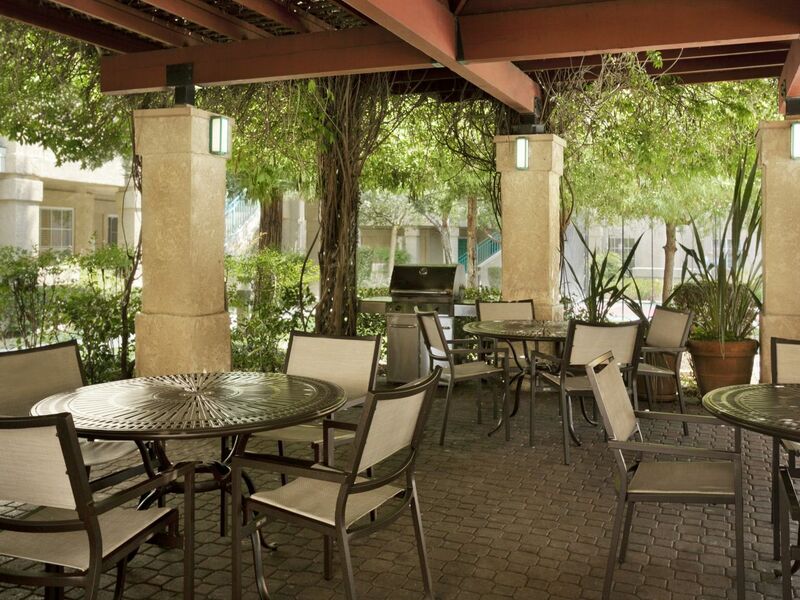 The courtyard also features an outdoor BBQ grilling area and sport court for basketball and volleyball. 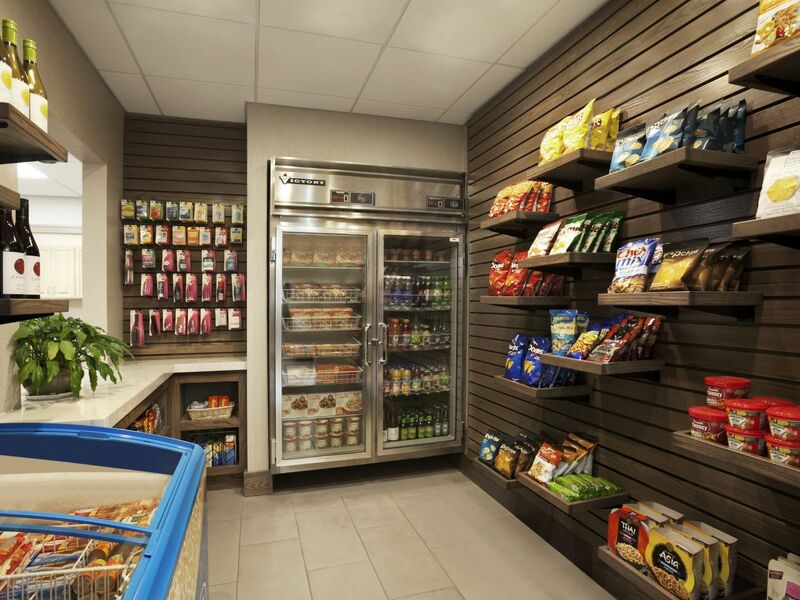 Grab complimentary sports gear at the front desk. Got a furry friend? 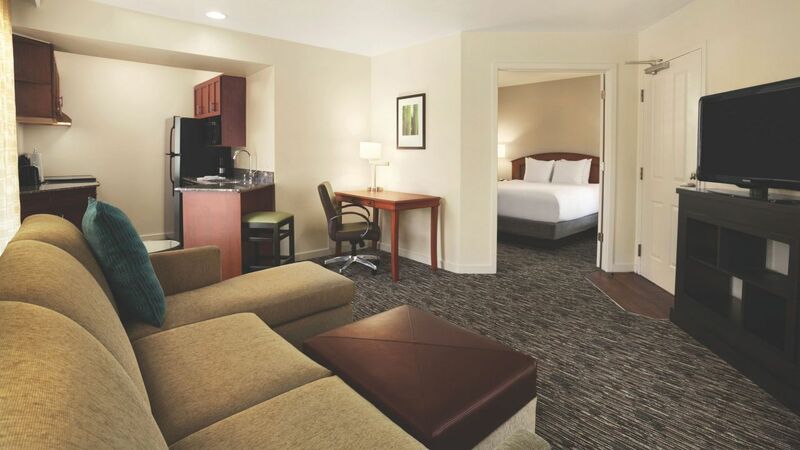 Your dog is more than welcome at our Pleasanton, CA hotel for a small fee, so bring your pet along! All pets must be housebroken. 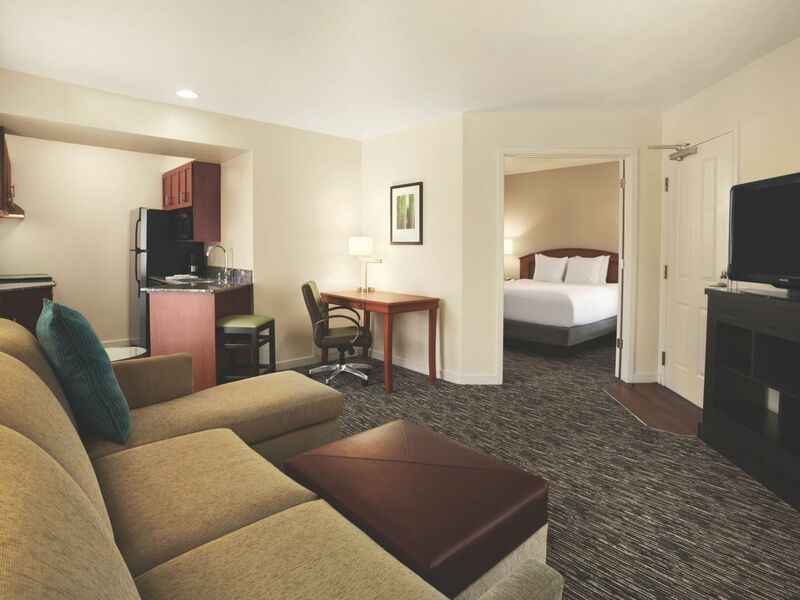 For more information about the pet policy at our dog-friendly hotel in Pleasanton, please contact the hotel. 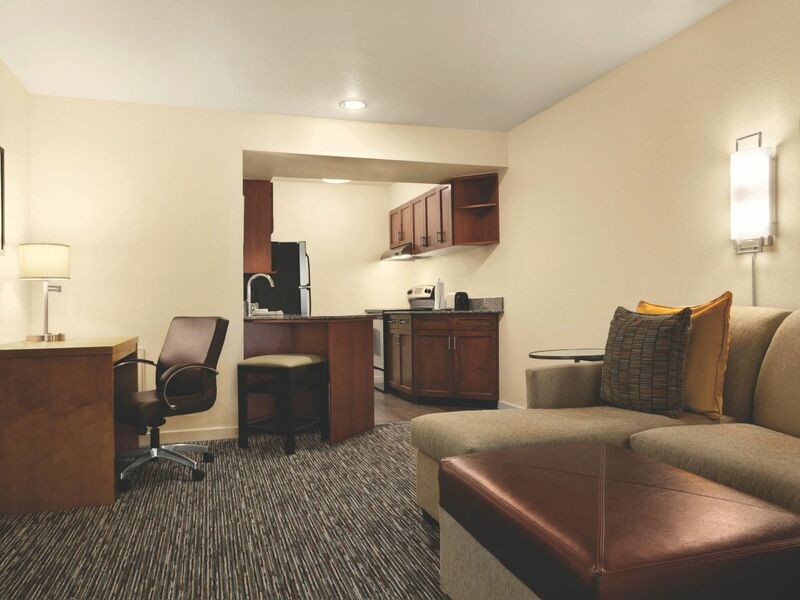 1-6 nights, a $75 non-refundable pet fee will be administered. 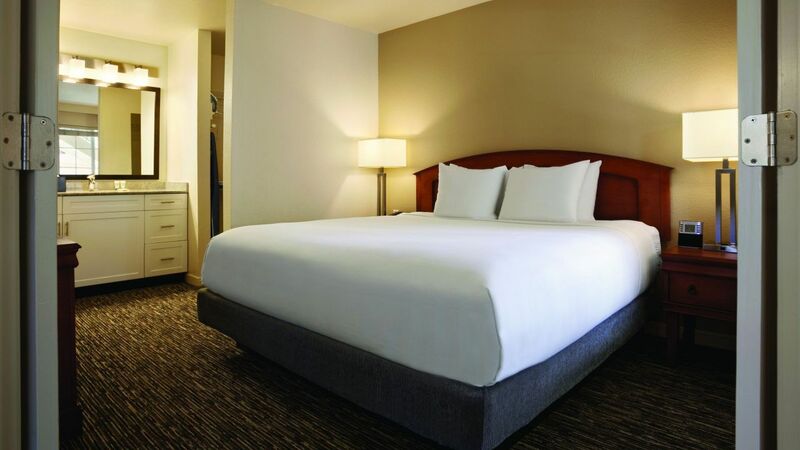 7-30 nights, a $75 non-refundable pet fee plus an additional $100 cleaning fee will be administered. 30 + nights, please contact the hotel. This was my first time staying in a Hyatt hotel. It was an excellent stay. The staff was friendly. Room was clean. The breakfast was fresh. They will make you an omelet fresh. The pool and hot tub was great!! 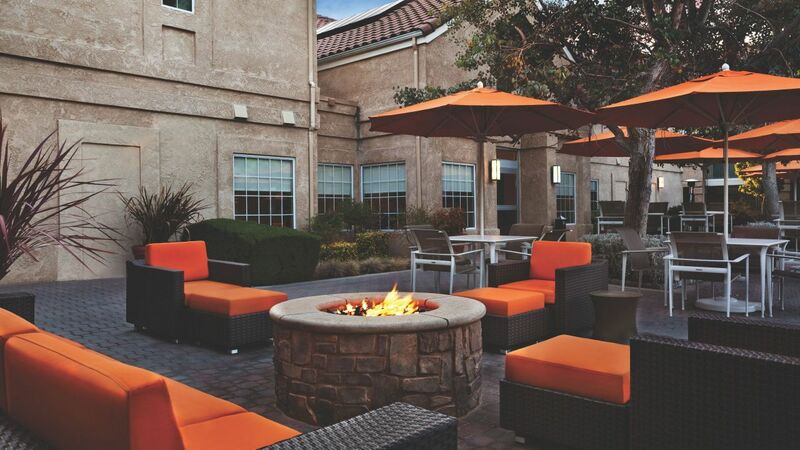 What else is happening at Hyatt House Pleasanton?